Panama’s economy has grown at an average of over eight percent in recent years, with per capita GDP more than doubling over the last decade. Despite this, the percentage of adults starting new businesses in the Central American nation is at its lowest since 2012, having peaked at 20.6% in 2013, according to GEM data. In addition the percentage of those who expect to start a new business in the next three years has declined (at 13.9% in 2015, down from 27% in 2013). Furthermore, the country is ranked last out of 60 countries by GEM when it comes to job expectations – just 2% of business owners expect to create six or more jobs. On a more positive note, the percentage of working-age adults involved in businesses older than 3.5 years has grown each year since 2012, climbing from 1.9% to 4.2% last year. Fear of failure also remains low, with GEM ranking the country seventh in 2015 out of 60 countries on this measure. However, more than 40% of entrepreneurs start a business out of necessity, rather than to pursue an opportunity. The country has good physical infrastructure, as well as welcoming cultural and social norms for entrepreneurship, and performs well when it comes to government policies to minimise tax and red tape. 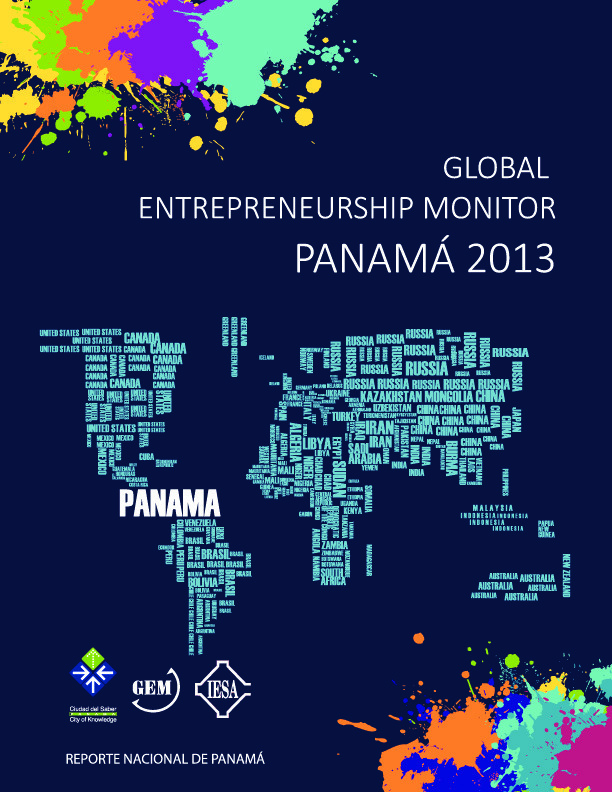 However, it performs poorly on government support policies and programmes, providing finance for entrepreneurs (although the World Bank in 2016 ranked Panama 19th out of 189 countries on the ease of accessing finance) and on entrepreneurship education at schools and colleges. Despite its challenges, expectations are that following the completion of a number of large investments (including the expansion of the Panama Canal and a second metro line), entrepreneurship will play an important role in the economy. Its development should be accompanied by measures to facilitate access to new capabilities and accepting new challenges in different economic sectors other than the traditional ones. In order to improve access to finance, the country’s Trust for Microcredit in Panama (Panama FIDEMICRO) was developed by AMPYME, Panama’s Small Business Administration. It is hoped that this will enhance the country’s economic growth. FIDEMICRO Panama lends to various microfinance operators (banks, co-operatives, NGOs and financial entities), which in turn lend to small and micro businesses. The Latin American Confederation of Credit Unions (COLAC) is responsible for the management and disposition of the trust, in accordance with the terms and instructions given by the Trustor (AMPYME). At the conclusion of the programme the trust provides refundable financial resources to micro-finance institutions to allow them to expand their coverage and consolidate their loan portfolios to micro and small enterprises. This improves the distribution of national income and reduces poverty levels. Since its inception in 2012 to March 2016, a total of 16 financial institutions had received $25.9 million in credit lines to lend on to their small businesses, in 10 provinces in Panama. This has helped a total of 7,029 small businesses up to December 2015 to access $18.4 million in loans. 43% of borrowers are women business owners. In addition, 45% of beneficiaries are located in rural areas. The average loan size is $2,631. About a third of the finance has gone to firms in the commercial sector, while those in services, transport, agriculture and industry account for the bulk of the remainder. In 2005,Panama’s National Secretariat of Science, Technology and Innovation (SENACYT) launched a seed fund to support small businesses, that have a revenue of no more than $200,000, to develop innovative ideas. The funding is accompanied by an incubation and acceleration process, helping to steer participating firms towards global growth. Participating incubators and accelerators help those entrepreneurs that apply for seed funding to validate their business idea and to develop and scale their idea. Businesses related to 10 economic fields can participate in the public call, namely: environment and sustainable development, health sciences and biomedicine, agroprocessing, logistics and transport, industry, renewable energy, information and communication technologies, tourism, gastronomy and biotechnology. The maximum amount of capital seed granted by SENACYT is $25,000. The amount includes the project development costs as well as the cost of incubation or acceleration (compulsory for all projects presented in the call). The funding should not be used to cover any sum greater than 30% of the total amount of the project cost. Since the programme began in 2005, and up to 2014, over 120 Panamanian companies have received seed grants to help them to strengthen their competitiveness and innovativeness.